Last week was peak wildflower time in our neighborhood. Most of the April bloomers are still going and the May ones have started up. I counted over a dozen species while I went for a run last weekend: Baby Blue Eyes in a few rather sparse patches (Nemophila menziesii), something I think is a white Nemophila (No Spot) Globe Lily (Calochortus albus), Mules Ears (Wyethia), two kinds of Lupine, scattered Brodiaea, two kinds of Dichelostemma, Ranunculus, some lovely thick patches of Mountain Phlox (Linanthus grandiflorus), a few Penstemon heterophyllus, Phacelia, Mimulus guttatus in the and a couple of little white flowers that I haven’t identified. It’s probably the most abundant that the flowers will be, but, more importantly, the annual grasses around them have started to dry out and the neighbors have begun to weed-wack everything. 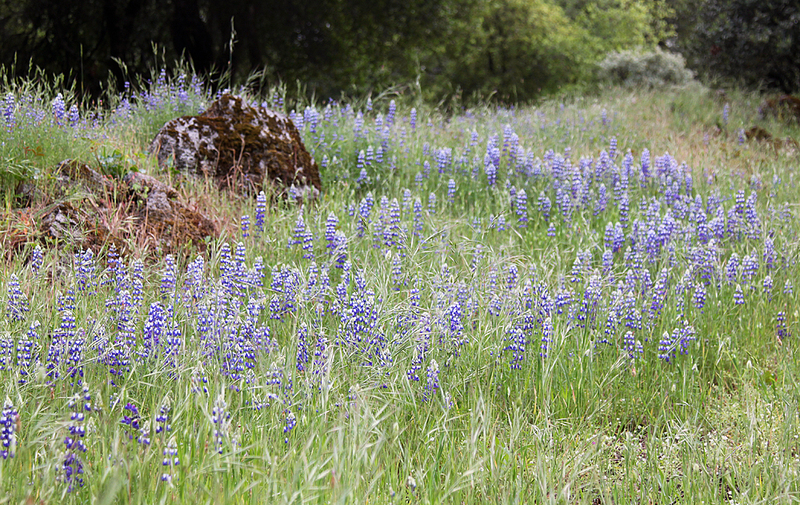 Though, here I think the weed-wacking has an interesting effect, making it feel like the Lupine has been put into the penalty box or is in a cage match with the grasses. This used to be a vegetable garden, I remember seeing tomatoes when we first moved to the area. 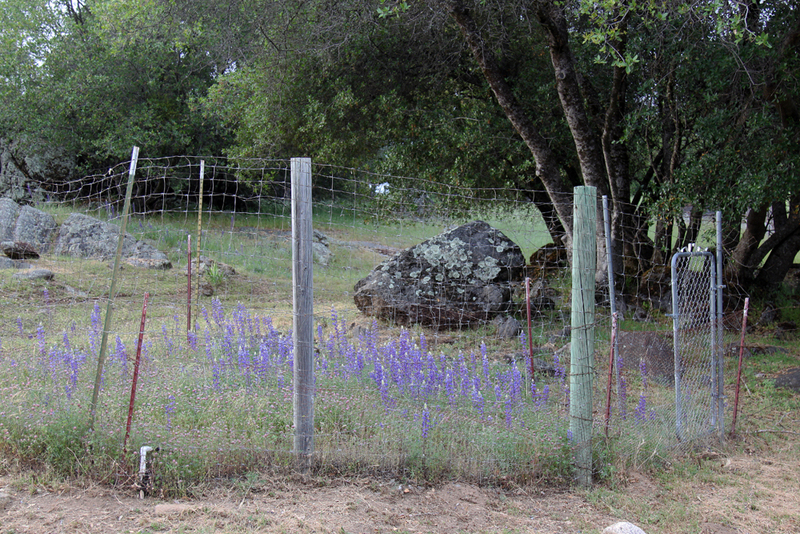 Now it’s a refuge for Lupine to shelter from the weed-wacking carnage of the outside world. Beautiful flower, unbeautiful fence. Built elements in our neighborhood tend to combine the forlorn with a certain rural charm. 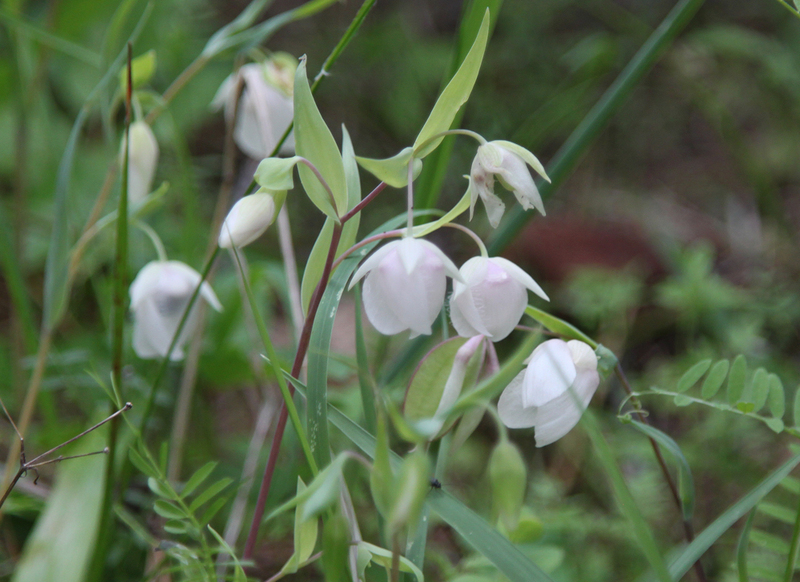 It’s been a good year for Globe Lilies. The most interesting wildflower in the area is Twining Snakelily, Dichelostemma volubile, a bulb that twines up other plants. I’m not sure why it surprises me so much to see a bulb that twines, but I find it fascinating. 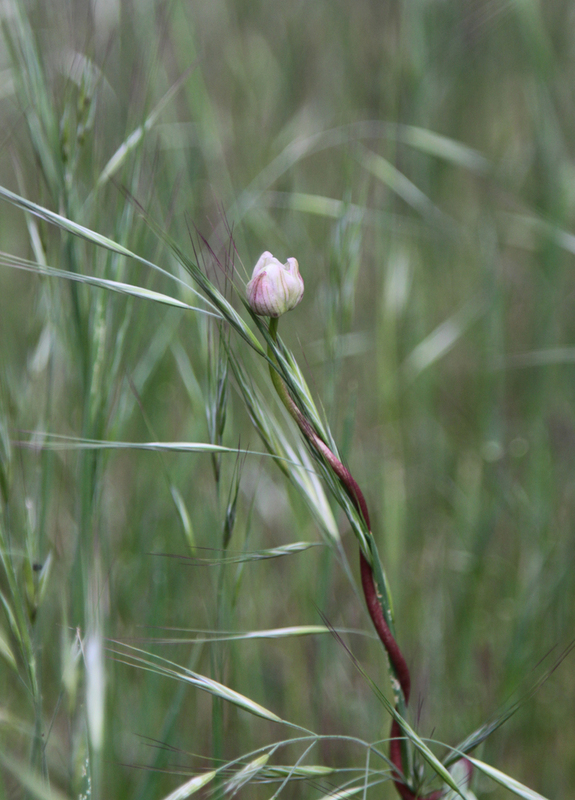 A very cool wildflower. Update — On Memorial day I saw white Yarrow in full bloom, two kinds of Clarkia, a fair bit of Penstemon heterophyllus, Mimulus guttatus in full bloom in the ditches, some Mimulus aurantiacus, and the Buckeyes are about at peak. The April bloomers are done. Update — June 20 everything is basically done. The Toyons are blooming, the occasional Penstemon or Clarkia has a flower, but everything else is done. 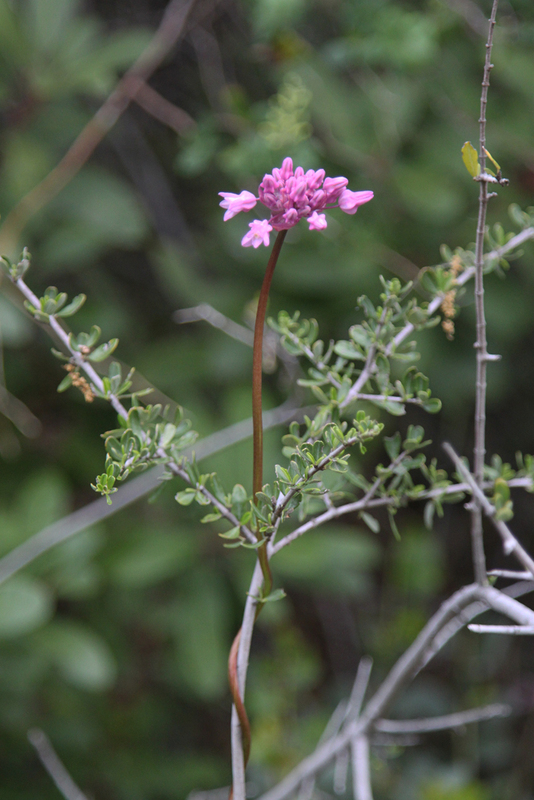 This entry was posted on Saturday, May 12th, 2018 at 6:41 pm and is filed under california natives, plants, wildflowers. You can follow any responses to this entry through the RSS 2.0 feed. You can leave a response, or trackback from your own site.